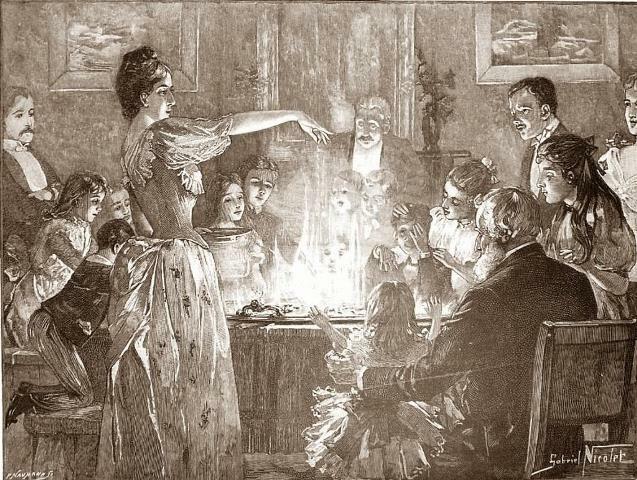 Snapdragon is an old fashioned parlour game that would often be played at Halloween or at Christmas. Pour half a pint of brandy into a fire-proof dish. Ignite the brandy and throw in dried fruits or raisins. To create a spooky atmosphere switch off all other lights. Guests have to try and grab the fruit by snapping at them with their fingers, trying not to get burnt. Alternatively pre-soak the dried fruit or raisins and then ignite them.